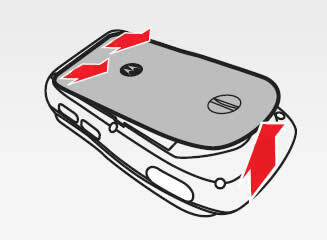 Rotate the locking screw counter-clockwise 90 degrees on the battery door. 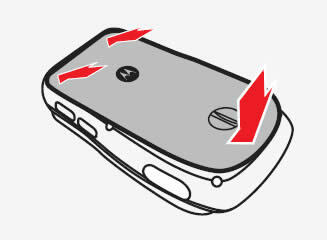 Raise the lower end of the cover then slide it down. 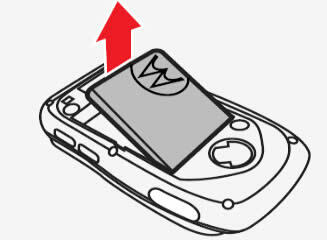 Raise the battery (upper end first) then slide it out to remove it. Rotate the locking screw clockwise 90 degrees.